Summer's almost here, which means that you'll be planning a ride out of town at some point in the next couple of weeks … if you haven't already. With the start of any new riding season, you'll likely want to spice up your gear arsenal before you blast off into the big wide open. Need a new helmet? How about a new pair of boots? Are your old gloves just about ready to split at the palm? Looking to keep your bike clean in the middle of a multiday cruise? Don't sweat it — we've scoured the industry for some of the coolest items to grab for your next ride. 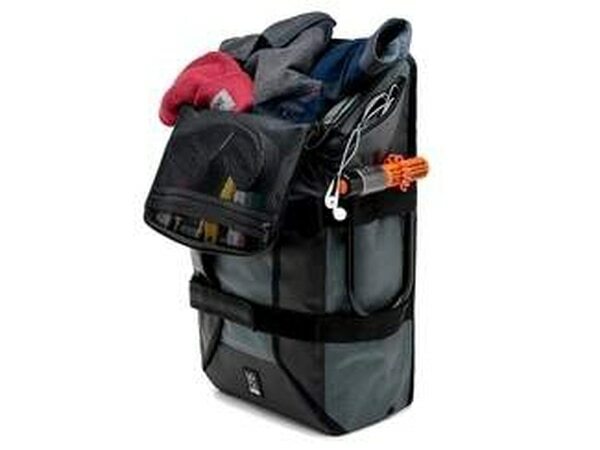 Chrome Industries' Brigade backpack features a massive number of pockets, including a padded laptop sleeve and front overflow pocket, and also has a ergonomic shoulder strap to fit comfortably on any body type sitting in any type of saddle. A magnetic buckle/helmet leash helps keep your lid nearby when it's not strapped to your head. This pack makes for a great road companion. It has the casual styling of a sneaker (kind of) with added protection and function that is usually only found on proper riding gear. 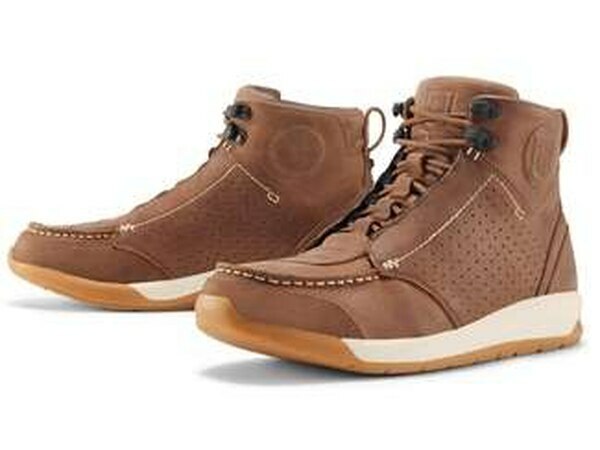 It really is a welcome anomaly in the motorcycle footwear category. The full-grain leather chassis features a hidden lacing system that offers secure fitment with little fuss, and D3O inserts in the ankle for optimum protection while on the road. Comfort-wise, the Truant 2 boasts an athletic footbed that allows for an all-day fit and feel that will have you thinking that you're wearing your favorite pair of street kicks. 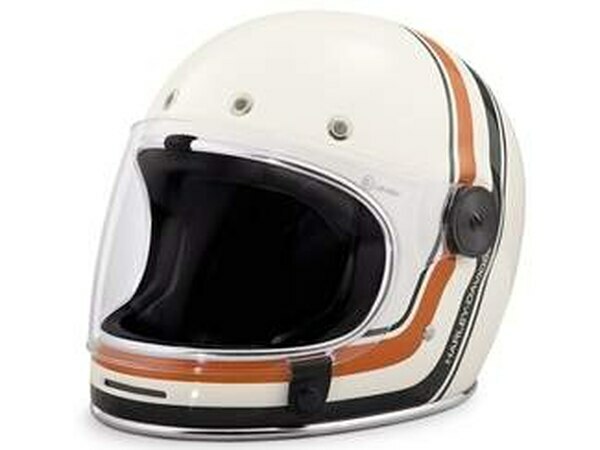 The B06 Vintage Stripe helmet offers nostalgic race-inspired styling with full-face protection that offers ample venting, and a magnetic shield closure with contoured cheek pads for excellent fitment. You won’t want to ride anywhere without this attractive lid secured to your melon. Aside from quickly and easily removing dirt, insect splatter, and water spots, this spray also offers a micro-thin layer of UV protectant that helps maintain a factory shine on most surfaces. An anti-static formula repels dust, dirt and water, and actively helps fight road gunk as it threatens your freshly cleaned motorcycle. Use it on paint, aluminum, stainless steel, and plastic surfaces for an easy, unbeatable level of clean. 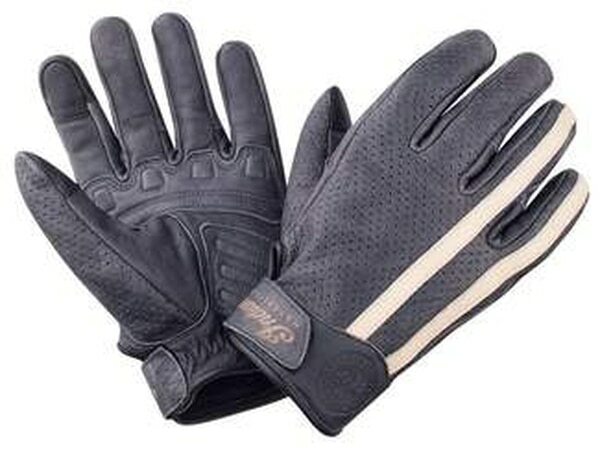 The full leather construction, padded palm, and Velcro wrist closure make for a solid foundation, and the touchscreen finger and thumb tip allow for easy use of your favorite digital distraction while on the road.